Sunburn Alert: This product contains an alpha hydroxy acid (AHA) that may increase your skin's sensitivity to the sun, and particularly the possibility of sunburn. Use a sunscreen and limit sun exposure while using this product and for a week afterwards. Ingredients: Wooden handled body brush with natural fiber bristles. What is Tetrasodium Glutamate Diacetate? This is a multi-purpose, clear, liquid chelating agent and preservative booster. Tetrasodium Glutamate Diacetate is made from plant material, is readily biodegradable, with high solubility over a wide pH range. Tetrasodium Glutamate Diacetate serves the same function in formulations as EDTA, without the health and environmental concerns. The alpha hydroxy acids (AHA’s) contained in Bikini Kitty's EveryDay Magic Spray will help slough off the dead skin cells, which aids in the reduction of shaving bumps and irritation. This product can be used before and after shaving or waxing. Used twice a day to remove preexisting bumps or pre-bed to keep skin clear and ready to shave or wax. The liquid is clear and has a light inherent scent of citrus. Bikini Kitty's Spa Body Brush provides a physical exfoliation with a superior result because of the bristles. 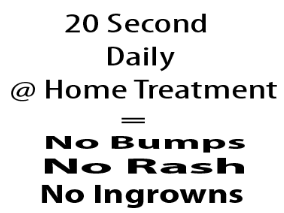 Bumpy skin and deep, curly hair follicles are primed for ingrown hair. Physical exfoliation is a must! But just a scrub or a hand mitt can't get the hairs to un-curl. Bikini Kitty's brush has what it takes to brush out the 'grow-back' itches, uncurl potential ingrowns and truly stimulate cell renewal. Body brushing lymph sites will also aid in stimulating the lymph system and strengthen your immune system. 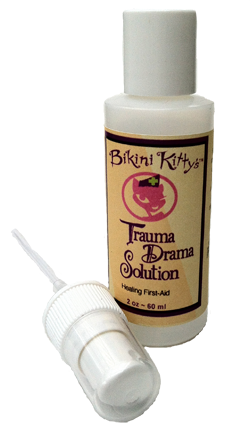 Based in Organic Aloe to sooth, Witch Hazel to strengthen and Organic Lavender to heal, Bikini Kitty's Trauma Drama Solution will sooth skin and speed healing to any delicate, irritated Kitty bits. Tea Tree Oil will disinfect and promote a cooling sensation on the skin. Perfect for directly, in-spa pre/post waxing. Daily use will strengthen skin to make it less reactive to hair removal treatments. This cloudy liquid has a light medicinal smell from the Tea Tree that is nicely softened by the Lavender Oil. Cooling, Soothing Slip - TALC-FREE! Bikini Kitty's Silky Kitty Dusting Powder provides a calming, dry slip to bare skin no matter where it may be. 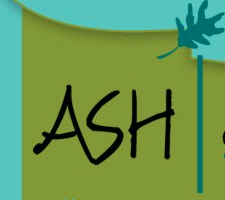 Perfect for the Kitty - as it is natural, organic and TALC-FREE. Pat on with the purr-fect sized puff. Great for reducing chaffing and irritation on hot, muggy summer days! Use on underarms too. This low dust powder lasts a surpisingly long time! Bikini Kitty's Smoother Soother Lotion is the perfect way to keep skin soft, soothed and hydrated. FRAGRANCE FREE, this healing lotion will cool and calm any skin that needs extra care. Face or body skin will benefit from this antioxidant rich, light weight lotion. Complete with a non-tacky dry down, this is the perfect lotion for a man or woman. Bikini Kitty's EveryNight Magic Facial Cleanser is set at the perfect pH: 4.5 – 5.5 to remove dirt, grime and makeup. This melting cleanser will sweep away the 'rust' that wants to age your face. Cleanse everynight with minimal water for the first and most important step in your anti-ageing routine. FRAGRANCE FREE - but for a light inherent scent from the Rooibos Tea, this cleanser is the best way to end your day! No need for a toner. Always moisturize after cleansing. 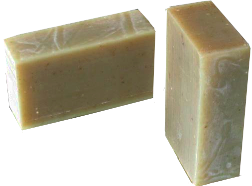 Igredients: Olive, Coconut, Castor, Shea Butter, Sweet Almond, Avocado and Apricot Kernel, Hemp seed oils. Infused with Organic Rosemary & Nettle powder. Bikini Kitty's Neem Brazil Bar is made with 10% neem oil and enriched with infused neem leaves which help to nourish and improve the overall health of the scalp. Neem aids everything from lice, eczema and psoriasis, from dandruff to scalp acne. Anti-inflammatory and anti-microbial, it helps prevent dryness and flaking, encourages hair growth and leaves the hair shiny and silky. Lightly scented with tea tree and peppermint essential oils to boost its anti-microbial properties and tingle your scalp. Bikini Kitty's RoseMary Brazil Bar is an excellent tonic for hair and scalp helping to strengthen the hair, stimulating the follicles and combating dry and flaky scalps thus helping to reduce dandruff. 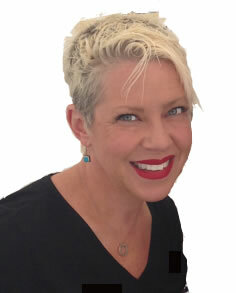 It is also reputed to work against hair loss and graying. A deeply conditioning and nourishing shampoo that yields lustrous, naturally cleansed hair and scalp. Bikini Kitty's Silky Free Ride, leave-in conditioner is the answer to your hairs need for a break from heavy, guppy products. Use it everyday, or just once a week to give your hair the hydration, slip and silky treatment it needs without all the chemicals Just using this treat once a week will free your hair to 'love' your regular conditioner all the more! Deep hydration and conditioning without all the baggage. Sweep away bumpy skin, everywhere! Ingredients: Aloe barbadensis (Organic Aloe) Juice, Lavendula angustifolia (Organic Lavender) Distillate, Anthemis nobilis (Roman Chamomile) Distillate, Cetearyl Alcohol, Ricinus communis (Castor) Oil, Organic Cucumber Extract, Stearalkonium Chloride, Phenoxyethanol, Hydrolyzed Wheat Protein, dl-Panthenol (Pro-Vitamin B5), Vegetable Glycerin, Rosa mosqueta (Rosehip) Seed Oil, Salix nigra (Black Willow Bark) Extract. The Organic Content of this thick, golden Shave Oil is 98%. There is a light inherent scent from the various oils. Bikini Kitty's Smooth Shave Gel is an enhanced formula that contains the moisturizing properties of Aloe, rosehip oil, hydrolyzed wheat, vitamin B, vegetable glycerin and distillates. Cucumber adds a light scent and additional softening of the hair and de-puffing of the skin around the hair shaft for a closer shave. The pH of Kitty's shave gel compacts the cuticle layer of the hair, which will result in slick hair shaft that will be easily cut and not weighed down. Shaving with oil might be new to some, but once you try Bikini Kitty's No-Nick Shave Oil, you will never go back. Kitty's oil has a rich texture that creates a protective barrier, lending a perfect shave every time. Shaving oil reduces nicks and razor burns. One drop on your sharp, clean blade before each area shaved will give you the perfect glide on delicate yet rough turf. Bikini Kitty's Summer in Seville, 3-in-1 wash is a gentle, foaming gel that is sulfate-free and paraben-free. It is an amber gel that has an inherent sweet citrus scent. This gentle formula uses the calming distillates and essential oils of lavender and chamomile. Glycerin, vitamin B & E, oat extract, wheat protein, jojoba oil and rosehip oil enhance the conditioning properties of this gel. Use on hair, body and in tub for a soft no residue wash for your entire body. Sulfate free means no bumpy chicken-skin build-up! Use Bikini Kitty's No-Bump Body kit to get rid of bumpy bits you may already have. I have used so many of the products from Bikini Kitty, including the body care and face cleanser. I love them all! The ingredients make the grade and the natural scents and effective extracts really do wonders for every one! Even my most sensitive clients.